PSP SUP Specialists provide Stand Up Paddle Board lessons, rentals and SUP equipment in the Toronto area as well as ship within Canada. 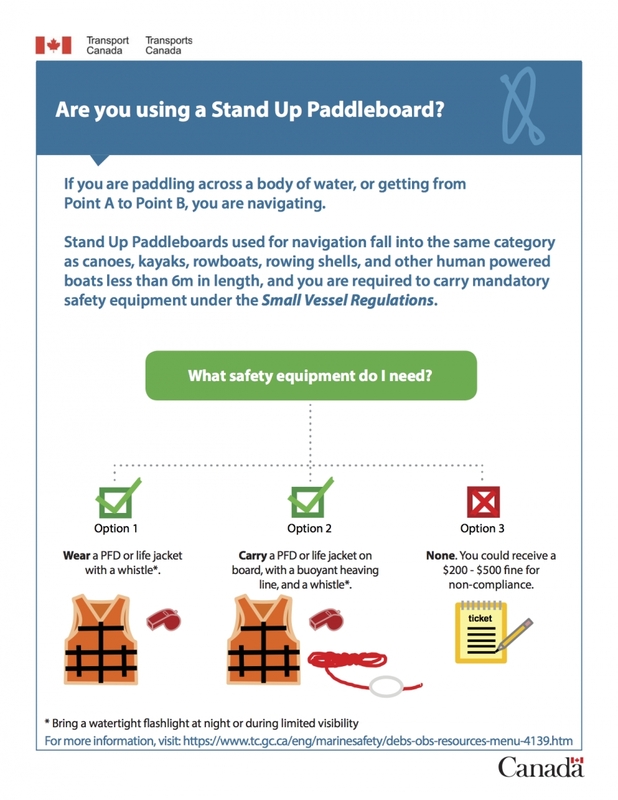 Transport Canada requires all Stand Up Paddle boarders and human powered crafts have a pfd. See their ruling here. A great option for those Stand Up Paddlers looking for minimal bulk and wanting to control when their PFD inflates.